IKEA is one of the most active brands. They often create great marketing operations making people talking about them. Here’s one of their new idea: helping you watch your movie in the most comfortable position in the cinema, that is to say: in bed. 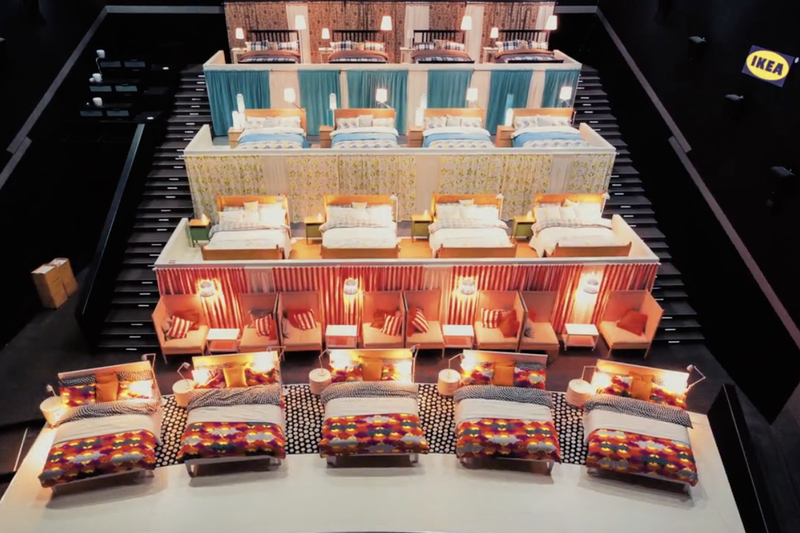 We’ve all dreamed about that: being at the cinema and just wanting the same thing in bed. Let’s face it, that’s the best viewing position. That’s why IKEA decided to give some lucky one the possibility to experiment it. 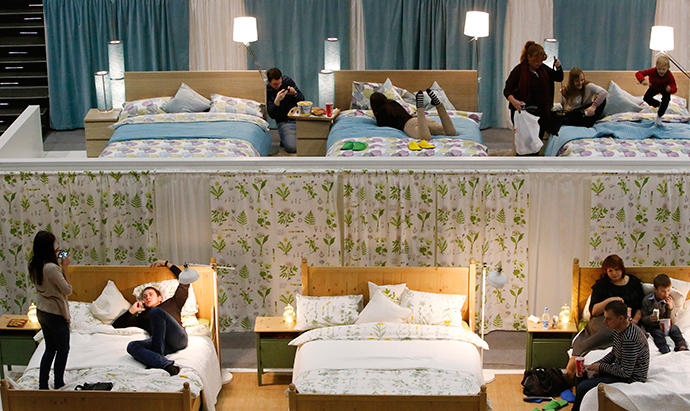 For this Russian stunt, they placed nearly 20 double sized beds in a theatre. Each row has its atmosphere with small walls with different wallpapers and colour-coordinated household linen to separate the area. People even got slippers! What a surprise for those who entered the theatre without being warned: enthusiasm was the usual response. Every one made themselves at home, jumping on the beds or starting a pillow fight. This is great emotional action for the brand. We always talk here about experiential marketing and if once in your life you’ve experienced it, you know what we mean. This kind of experience takes a big place in the heart of the consumers, for a long time… It is a wonderful way to create link between the brand and the clients, an emotional link. Apart from that, it’s a kind of show room for IKEA. Most of the time when you go to the store, you sit on the bed but you can’t try for 1h30… On the whole, IKEA is working on its brand image. Most of the time, this kind of action is far more effective than any advert. Above all, IKEA succeeded in associating in people’s mind its brand and the cosy and nice experience. It means that now, these people will think of IKEA with this wonderful memory in mind and are going to be more likely to defend the brand. I assure you! What do you think? Would you like to try that bed cinema? Publié dans Around The World, Branding - Event, English Time, Funny Thing, It's new, Street MarketingÉtiqueté évènementiel, cinéma, concept, emotion, engagement, expérientiel, experiential, Ikea, image, link, marketing expérientiel, meubles, Moscou, russie, stratégie, Street Marketing, stunt, univers de marqueMettre en favoris le permalien.